The Minnesota Wild have upgraded their offence in a big way, acquiring winger Jason Pominville from the Buffalo Sabres, according to Mike Russo, with forward prospect Johan Larsson, goalie Matt Hackett going the other way, a 1st in 2013 and a 2nd in 2014 going the other way. Buffalo also sends Minnesota a 4th. It's a huge return for Buffalo, which is to be expected when you trade your captain and one of the lynchpins of your team. It's also yet another signal that Minnesota is dead serious about being competitive. Not that anyone ever expects them to, but the Wild haven't exactly been lighting the world on fire offensively this year, sitting 14th at 2.69 goals per game. Could Pominville push them into the top 10? It goes without saying that he's going to make the Wild more dynamic up front. He isn't having his best season (who is in Buffalo? ), but he's still put up 25 points in 37 games, and as Zach Parise told Russo Wednesday, Pominville's a heck of a player. Specifically, Pominville's a playmaker, and he could be a beautiful fit on a line with Mikko Koivu and Zach Parise, two natural finishers. That could to be a dangerous, relentless trio, especially since much of Pomvinille's success with Vanek in Buffalo came despite no real centre to speak of at times. The line is also stacked with leadership in two former captains and a current captain, if you value that sort of thing. The Wild's acquisitions of Parise and Ryan Suter this offseason have transformed the team, and now they have the look of a contender. They currently sit 1st in the Northwest Division, with the Canucks hot on their heels. 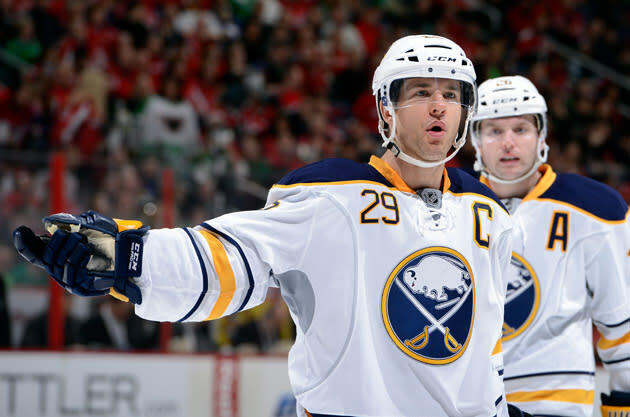 Is the Pominville acquisition enough to hold them off? Might this trade be enough signal a changing of the guard in the Northwest?